This week I’m sharing the last photo from a work trip to Geneva late last year. 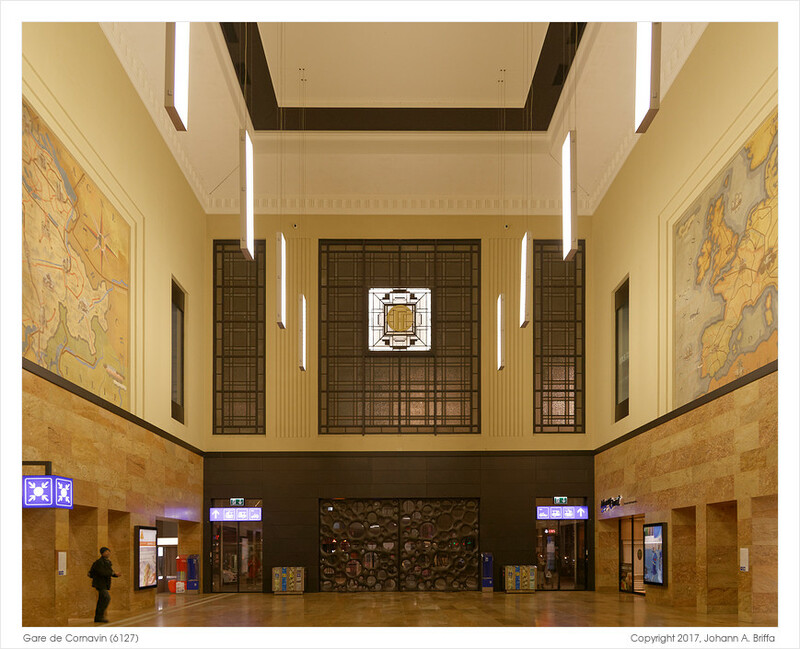 Specifically, this is the main entrance to the Gare de Cornavin, beautifully done in art deco style. It was night already, so unfortunately there’s no light coming in through the glass panes and doorway. So while conditions were not ideal, I really wanted to capture an impression of the place, to share with R on my return. Toughest bit technically was to work with the limited light (having no tripod) and take a suitable angle so that I could later fix the perspective during processing. A tripod and a view camera (or at least a tilt-shift lens) would have made things easier, but would also have needed significantly more time.